The United States Department of Agriculture (USDA) supports domestic shrimp farming as a way to boost national food security and offset the trade deficit. American shrimp farmers should consult with the United States Marine Shrimp Farming Program for information about government support of start-up shrimp farms. Feeding a healthy shrimp farm is a complex task. Evidence suggests that the healthiest shrimp populations receive a diet consisting at least partially of "live feed" (algae, zooplankton, etc. ), although synthetic feeds can be part of a successful shrimp farming operation. 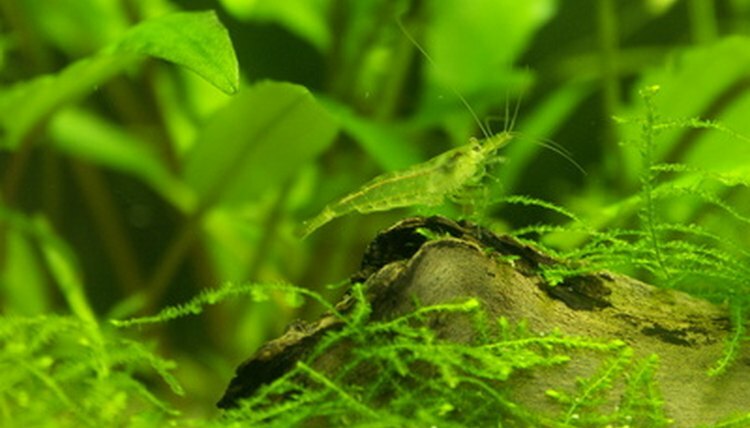 Shrimp farmers around the world successfully apply different levels of technological complexity to shrimp farming, with growers in Southeast Asia relying primarily on the shrimp-friendly conditions of the local ecosystem and farmers in the United States and Japan growing shrimp in more controlled environments. Farmers should study the gamut of shrimp-farming techniques to choose those that will allow them to make the most of their resources. Since the 1970s, shrimp farming has been a growing industry in the United States and abroad. At a minimum, start-up shrimp farms require two drainable ponds: a "nursery" pond for larval shrimp reaching maturity, and a "grow out" pond for mature shrimp that have not yet reached market size. Ponds must be aerated and provided with proper nutrients for shrimp populations to thrive. Choose a location for the shrimp farm. Important considerations include: climate, proximity to the ocean and ease of access to larval shrimp. Farms in warm climates will have longer shrimp-growing seasons than farms in cold ones. Farms built close to oceans or river deltas may supply their ponds with water from these sources, while farms built in areas where shrimp are an important part of the ecosystem may use these naturally occurring populations to supply their initial crop. Farms located far from the ocean should be sure be sure they can find a hatchery willing to stock their ponds with shrimp. Dig two drainable ponds, a nursery pond and a grow out pond, connected to each other by a sealable culvert. Shrimp ponds tend to range in size from .5 to 3 acres. The depth of the ponds should be determined by the variety of shrimp a farmer wishes to grow.The culvert should allow water from the nursery pond to flow into the grow out pond, so that mature shrimp shrimp may easily be transferred from one to the other. If the shrimp farm is located near the ocean, build a gate system that will allow ponds to take in fresh ocean water. Fill ponds with salt water from the nearby ocean or from another source. Some shrimp farmers stock their ponds with algae and zooplankton in order to create a sustainable ecosystem for shrimp, a process known as "green water" farming. Some farmers use "green water" techniques in their nursery pond, transitioning shrimp to cheaper synthetic feed during the "grow out" period. All farmers should regularly test their pond water for quality and temperature. Stock ponds with shrimp, either by allowing for inflow from a nearby body of water or by purchasing larvae from a nearby hatchery. This initial shrimp stock should remain in the nursery pond for no more than 25 days. After this point, they should be moved to the "grow out" pond, where they mature for between three and six months before harvesting. Aerate ponds regularly, either by provided-for inflow and outflow from natural water sources, or by using commercially available paddle wheel aerators. Regular aeration prevents water from stagnating and provides oxygen to shrimp.